Home » News » Öhlins Dominate Isle of Man TT with victories and fastest ever lap! Öhlins Dominate Isle of Man TT with victories and fastest ever lap! Possibly the world's single best known motorcycle event, The Isle of Man Tourist Trophy, took place at record pace and insane speeds, with Öhlins dominating throughout. Undeniably dangerous, the 37 ¾ mile (60.72km) public highway lap features some 264 corners between hedges, lamp posts, phone boxes, stone walls and houses. That is part of the attraction though as many riders are drawn to the Island to test themselves with massive risk against the world's toughest course. This year saw lap records smashed across the classes as perfect, unbroken, good weather allowed riders to get up to speed throughout practice week. 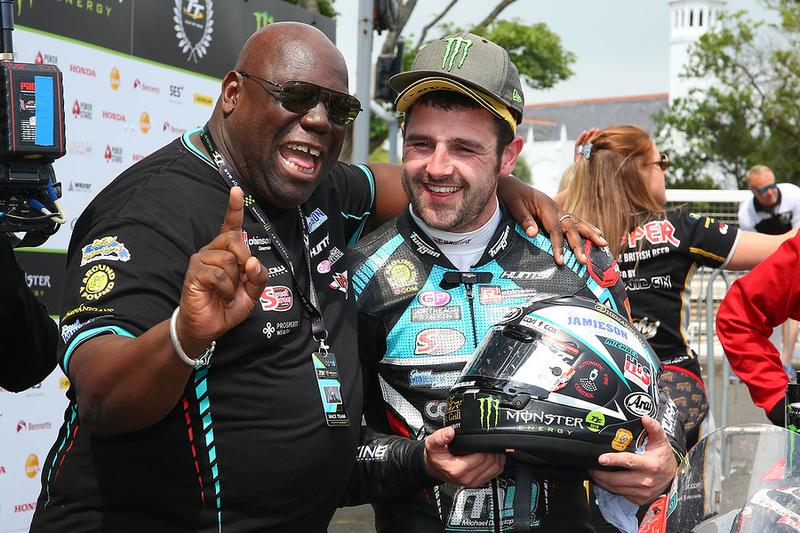 Race week opened with a two rider battle in the first Superbike outing between Öhlins shod rivals Dean Harrison and Michael Dunlop from the legendary Dunlop racing family. Harrison set a jaw-dropping 134.432mph (216.347kph) opening lap from a standing start to lead the race but engine trouble let Dunlop through for the victory. His win was all the more poignant as his Tyco BMW teammate Dan Kneen (a local Manx man) had lost his life earlier in the week at the unforgiving circuit. Dunlop then won again in the first Supersport 600 race on his DJ Carl Cox supported Honda CBR600RR and for a third time later in the week on the stunning Paton machine in the 'Lightweight TT'. Michael now sits on 18 TT wins, with only John McGuiness (23) and his uncle Joey Dunlop (26) in front of him. 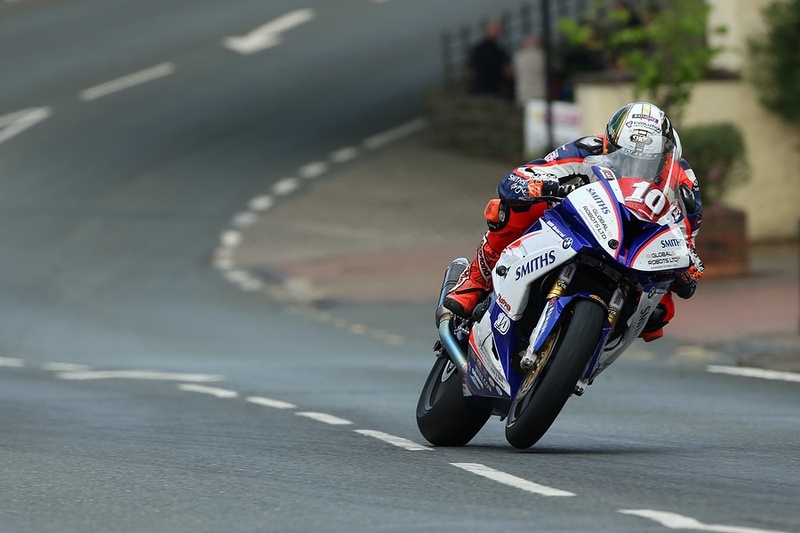 Peter Hickman took his first ever TT victory in the Superstock 1000 race on his Smiths BMW S1000RR with an unbelievable 134.403mph (216.300kph) lap, all the more amazing from a road based bike with limited tuning, Öhlins fork internals and road tyres! Hickman then set about winning the final race of the event as he battled Harrison for the 'Senior TT' win, another nail-biting Superbike encounter. With nothing in it across six hard fought laps, the tall, quiet rider took the victory with a fastest ever lap of 135.452mph (217.988kph). All in all a fantastic event for the Öhlins race engineers who worked hard to give riders the best set-up at this ultra demanding event!